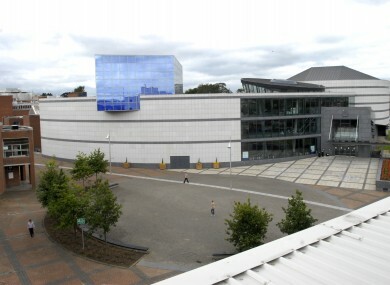 The Helix, located on DCU's campus. STUDENTS AT DUBLIN City University have this evening voted to re-join the Union of Students in Ireland. The referendum on membership of the student representative body was passed by just one vote. It is the third referendum held by DCU Students’ Union in four years on re-affiliation. A referendum last year was deemed ‘null and void’ as DCU Students’ Union had not held an information campaign or promoted the referendum, while a referendum in 2010 saw a No vote returned. The college previously voted to dis-affiliate in 2002. In a statement this evening, President of the USI Joe O’Connor welcomed DCU, who will be the union’s fifth largest member. “This evening’s result reflects the recognition by DCU students of the enormous challenges facing us on a national level, and the need for national representation and campaigns in order to tackle these issues,” he said. Roughly 12 per cent of the 11,500 students at the college voted in the referendum, with 726 voting Yes and 725 voting No. Email “One student's vote decided if this Dublin college would rejoin USI”. Feedback on “One student's vote decided if this Dublin college would rejoin USI”.